Trucks must be loaded safely to reduce the risk of cargo shifting, falling cargo or rollover collisions. Truck drivers and trucking companies must comply with load rules set by the Federal Motor Carrier Safety Administration. If a trucker or company is negligent or fails to follow the rules, victims of a resulting crash can obtain compensation for resulting injuries and damages. Associates and Bruce L. Scheiner, Attorneys for the Injured, help victims of truck collisions. 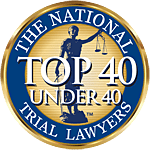 We have been representing clients injured in accidents for four decades and have built a reputation as trusted advocates in personal injury and wrongful death litigation. Call 800-646-1210 today to schedule your free consultation with a Florida truck accident lawyer. When trucks are not loaded properly, accidents occur. The Federal Motor Carrier Safety Administration reports that 78 percent of rollovers involve driver error. Load effects are one of four primary causes of rollovers, along with vehicle design; highway factors and driver factors. Preventing cargo shifts and controlling loads on turns and straight roadways is essential to avoiding a rollover. Truckers carrying liquids such as water, gas or oil also need to be prepared for sloshing and should ensure tanks are filled to at least ¾ of maximum capacity to reduce the risk of movement. Decelerating in a forward direction. Decelerating in a rear direction. Acceleration in a lateral direction. Unfortunately, despite strict safety rules, truckers and trucking companies too often fail to properly balance and secure loads. Cargo shift caused 2,316 single-vehicle truck crashes and 65 multi-vehicle truck collisions according to the National Highway Traffic Safety Administration’s Large Truck Crash Causation Study. A failure to balance and secure a load can be considered negligent and can lead to a trucker and trucking company being held responsible for a victim’s medical costs, loss income, pain and suffering, emotional distress or wrongful death. Associates and Bruce L. Scheiner, Attorneys for the Injured can help you to investigate the cause of a truck collision and help you to prove the trucker or trucking company is responsible. Your Florida trucking accidents lawyer will represent you in negotiating a settlement or pursuing a claim in court. No legal fees will be charged to you unless we recover compensation. Call today at 800-646-1210 to schedule a free consultation.